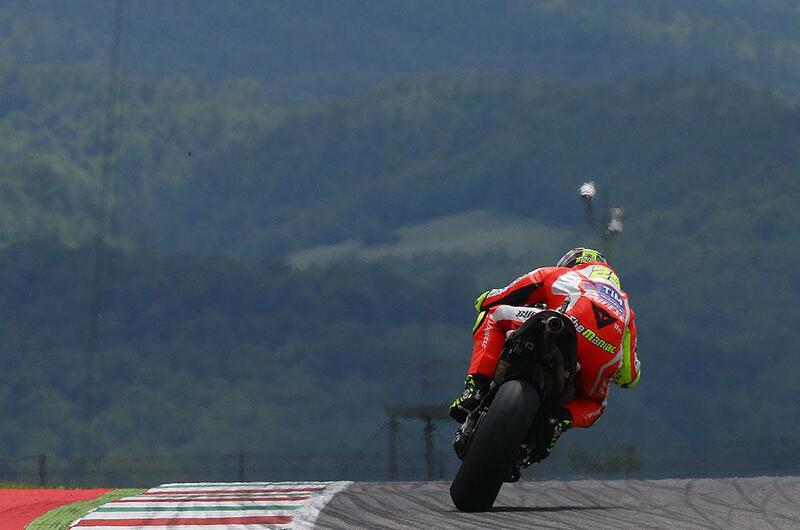 Andrea Iannone was an unsurprising fastest man on the opening day at Mugello, making the most of Ducati’s recent tests at their local circuit to finish the day nearly half a second faster than world champion Jorge Lorenzo. Continuing the theme, Ducati test rider Michele Pirro, there on a wildcard appearance, was third, after following Lorenzo for the last ten minutes of the session on track. Aleix Espargaró was fourth, s he continues to stake his claim for the final remaining Suzuki seat for 2017, while Marc Marquez and Valentino Rossi were fifth and sixth. Maverick Viñales was seventh, and an improvement in form for the Brits saw Scott Redding eighth and Cal Crutchlow ninth, with Pol Espargaró rounding out the top ten. 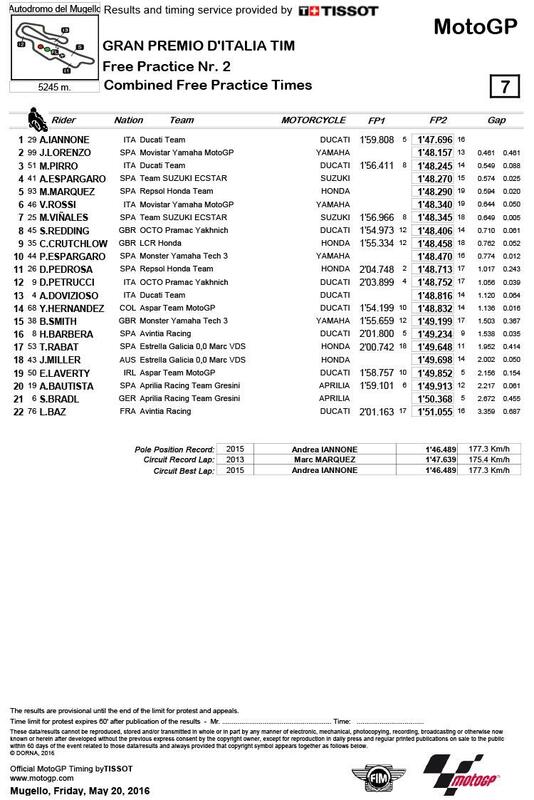 Dani Pedrosa’s struggles continued in eleventh, with Danilo Petrucci twelfth. It was a less successful day for the second factory Ducati of Andrea Dovizioso though, as a recurring neck injury relegated him to 13th, ahead of Hernandez and Bradley Smith.